Westbury Water District Board of Commissioners Chairperson William Olson is a shining example of volunteerism. Serving on the board of commissioners since 1999, Olson has focused his attention on maintaining Westbury Water’s infrastructure to be in compliance with current drinking water standards and to provide enough of this precious resource to meet the demands of customers and all fire fighting needs. Born and raised in Westbury, Olson formed a hometown commitment early on when he became a volunteer of the Westbury Fire Department soon after graduating from high school. Holding every position from lieutenant to captain, the now ex-chief of the department currently serves as a training instructor. Following in the footsteps of his father and older brother, Olson was recruited to become a New York City firefighter in 1977 and served as captain of Ladder Company 150 in Hollis, Queens for 25 years before retiring. He was one of the many NYC-based firefighters who provided assistance following the devastating September 11 attacks on the World Trade Center in 2001. 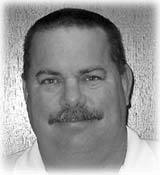 Olson enjoys gardening, cooking, playing golf and spending time with his wife, Kathleen. They have two grown children, William and Amy. Barry Green was first elected by the public to the Board of Water Commissioners in December of 2018. A Westbury resident for more than 35 years, he is no stranger to public service. He has been a volunteer member of the Westbury Fire Department for 18 years, serving as chairman of the Fund Drive Committee for the past decade. He is a graduate of the State University of New York College at Old Westbury with a Bachelor of Science in accounting and has been employed in the insurance industry for the past 32 years. Barry enjoys spending quality time with his wife Barbara and serving his church community. He is an avid aviation enthusiast and spends leisure time gardening, antiquing and taking road trips. Commissioner Green looks forward to working with his colleagues on the board to continue to provide the community with an adequate supply of water that is in full compliance with the stringent federal and state drinking water standards and meets Nassau County Health Department regulations. 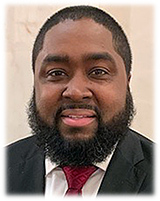 Longtime Westbury resident Rodney Caines became the newest member of the Board of Water Commissioners in 2018. Born and raised in Westbury, he is a graduate of Westbury High School and holds a Bachelor of Science in engineering from the United States Merchant Marine Academy in Kings Point. For the past 15 years, he has worked in Manhattan as a mechanical engineer for NORESCO, a national energy efficiency and sustainability company. 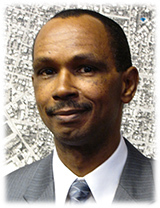 Rodney is an active member of the First Baptist Cathedral of Westbury, where he serves as Deacon. He has been a member of the Westbury School Board of Education since 2012 and a member of the Town of North Hempstead Community Development Agency for more than five years. Rodney and his wife Traci are proud parents of four daughters, three of whom currently attend Westbury schools. Their oldest is a graduate of Westbury High School and now in her second year of college. He welcomes the opportunity to continue providing the public with a clean, safe supply of water and looks forward to emphasizing the importance of preserving and protecting this vital natural resource for use by many generations to come.